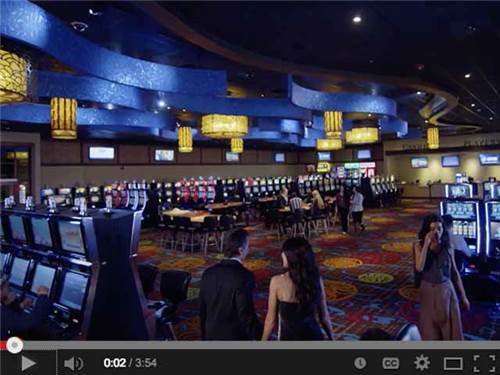 Full Service Casino Resort & RV Park with live entertainment & events. Top Rated with lots of amenities, 6 dining options, wedding venue, indoor pool, on-site day spa & 18 hole golf course. Easy day trip to Olympic Peninsula. This is a VER well kept facility, very tidy. Check in is awkward as it is in the casino, and not super obvious as to where to go. Go in the SIDE entrance. Otherwise, you need to walk all the way through the casino. The hotel lobby is beautiful, and I think worth the stroll. Big plus is they allow you to use the spa and indoor pool. Minus is it is not conveniently located. But, nice to be allowed. Some casino RV lots don't allow that. There is a nice dog loop across a small street, and good grass for hot paws, BUT it was 93 degrees out when I was there and I did have to pick my pup up a few times to keep him from frying his little toes on the asphault. I drive a very small RV, so the turns were ok, but man... if I had a bigger rig I would have been pretty annoyed. There are signs all over the place not to drive on the grass, but I dont see how you could avoid it, particularly where dipsnits decided to park their tow vehicles in front of their spots in the drive, making it fairly impassible for the rest of we folk. There is an ENORMOUS parking lot about 30 feet away for cripes sake! OH, and if the RV lot is full, they do allow overflow over in the lot for free. I'm thinking likely they allow dry camping there all the time by the number of rigs over there. Casino was a bit of a disappointment. I'm old school slots, and this one had just the electronic big machines with too many numbers and a big section of the Asian themed machines which don't seem to like me very much. Staff in the casino was very nice. This is a really nice park. It is just a place to park with nice bathrooms. Lots of amenities if you going into the casino, but we just used the RV Park. The sites are big enough with grass between sites. All the sites are paved and ours was pretty level. This park had pretty good WIFI. We showered in their bathrooms because we were there in January and had our water off. Very nice showers and bathrooms. Great prices!!!! The front row has the longest sites. We choose one in that row. Worked out good because it was close to the bathroom. RV Park is very nice, but a little tight. 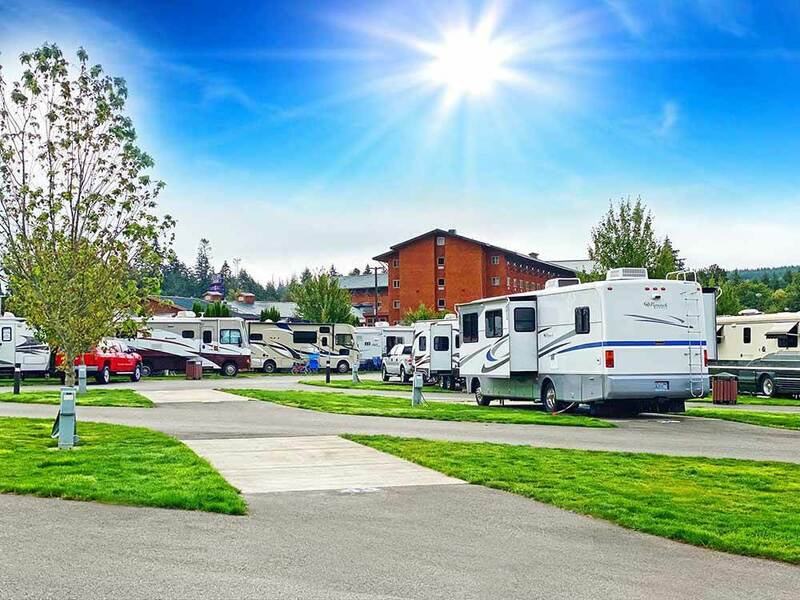 There's enough room on your pad for your RV and a large lawn . There is no room on a hard surface for lawn chairs table etc, but the grass is very nice. I could see a problem if it rained but the weather was great for us. The Casino has a large no-smoking section with lots of slots separate from the other. This is good because the smoking side was easily the smokiest casino we've been in. My chest hurt after 20 minutes. We didn't use the golf course. There is a small are to walk dogs just outside the RV park. Nice Park ! pros: clean, nice appeal, lots of pull thru sites with hookup. Cons: cannot get campsite number until check in. Therefore with a large RV you end up parking way out in the back lot and walk to the reservation desk in the hotel to get you assigned site. Wifi is advertised but VERY slow very intermentent or non existent. Desk clerks are rude. Bathroom showers have no hot water so plan on showers in your RV. I was told it was because they were out of propane and really didn't seem to care.